Well, what do we have here? It looks like a nice and tidy list of fun Kickstarters to enjoy. Let’s dive in! I love building characters for Dungeons & Dragons and Roll Player plays along nicely with that idea; having you roll dice to create a character that earns points based on sets and bonuses. Lockup is a stand-alone worker-placement game set in the same world as Roll Player so I have high hopes it will be as fun as its predecessor. In Lockup, players are in change of a crew of prisoners looking to earn enough reputation to be given the chance to fight for their freedom in the royal Colosseum. You need to send members of your team out to control different areas of the prison so they can produce resources, but avoid arousing the suspicion of the patrolling guards. Lockup looks like it will be a fun and challenging puzzle with a bit of bluffing to shake things up. 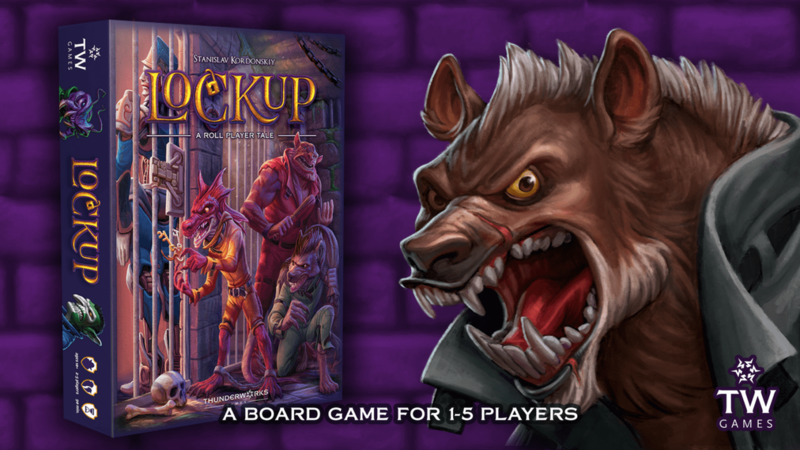 Check out Lockup: A Roll Player Tale on Kickstarter here! Sticking with the D&D theme here, Set a Watch focuses on a time during adventures where heroes are at their most vulnerable: Napping. In Set a Watch players take on the roles of heroes who go from location to location trying to secure each spot as to prevent the forces of evil from releasing even bigger evils upon the world. Each round represents an evening where the heroes have set up camp. During the turn, one player will perform camp actions while the rest defend the camp from invading monsters. Each hero has unique class abilities which will aid in the fight, but with one party member busy keeping the fire burning, you’ll need to use your actions wisely to survive the night. 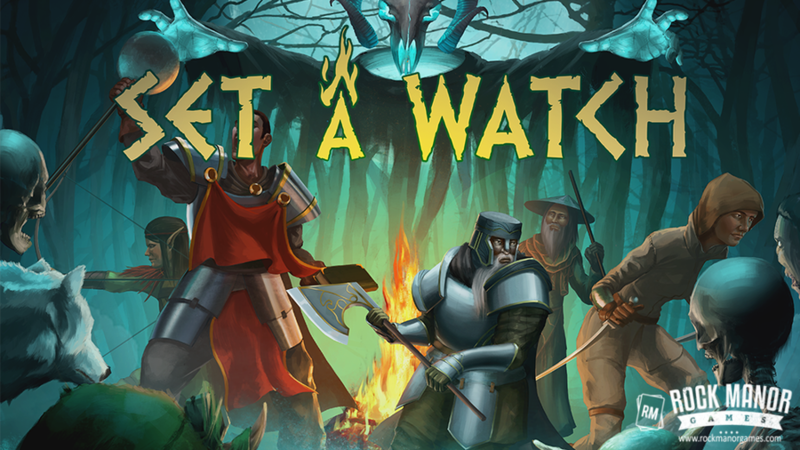 Set a Watch looks like fun in a tower-defense kinda way. Take a peek at the Set a Watch campaign here on Kickstarter. Ok let’s add a little sci-fi into this list! 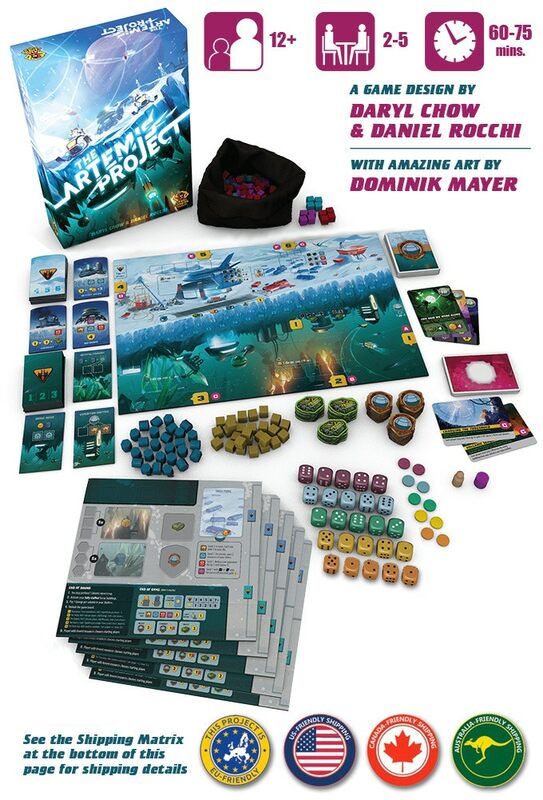 The Artemis Project is a worker placement game that tasks the players with colonizing Europa, the icy, inhospitable moon of Jupiter. Each player is in charge of their own team of “Stabilizers” who will harvest materials and construct buildings. Like many worker-placement games, you assign your workers by placing a die at locations in numerical order to gain resources based on the value of the die, but The Artemis Project introduces a new mechanic called “Exposure”. Lower numbers collect first and since dice are assigned in order, higher dice have the chance of being bumped to the back of the line. If resources at a location run out before you can collect, you’re out of luck. When all is said and done, whoever creates the best colony wins the game. The exposure rules sound pretty cool as they add the push and pull of trying to decide if you want accept the risk and to assign higher dice potentially collecting lots of loot or to play it safe and use lower vales guaranteeing you’ll get a little something. 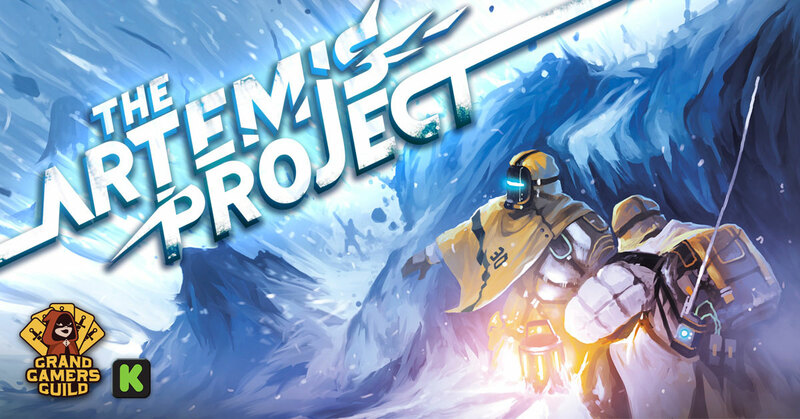 The Artemis Project sounds pretty awesome and if you want to learn more check it out on Kickstarter here! 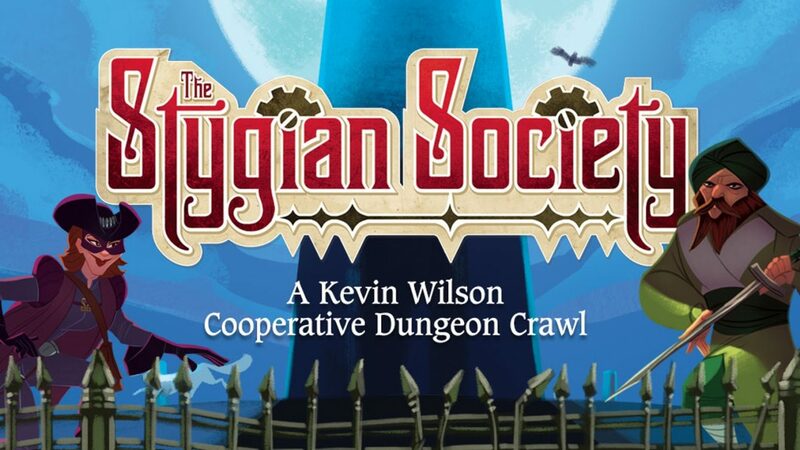 The Stygian Society is a dungeon crawler that makes creative use out of a dice tower. Everyone plays a hero from the Stygian Society who is attempting to ascend the tower, fighting monsters on each floor, in order to reach the top and defeat the evil wizard. Where things get interesting is how the challenges work. 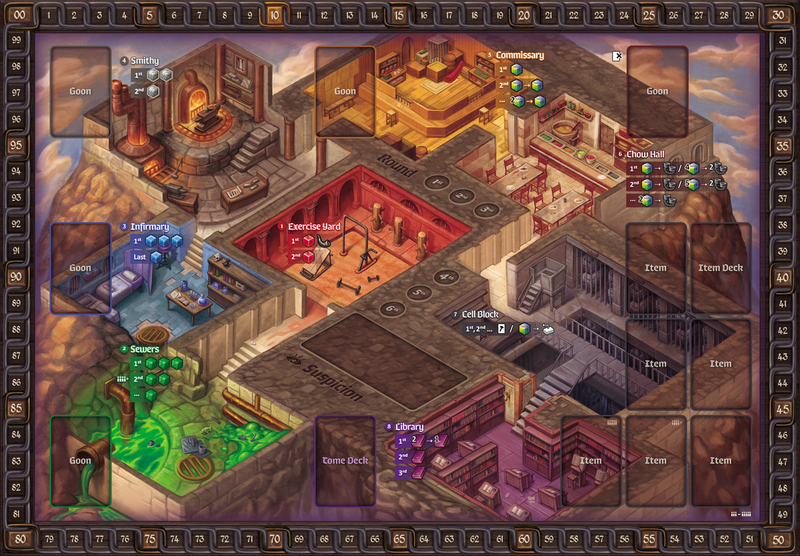 Each floor will have a challenge that the heroes must overcome by using cubes. The heroes will have skill cards which give them different cubes, but before they can use them, they must drop the cubes through the tower. There are obstacles inside that can block some cubes from dropping, so you never know exactly what you’ll have in the way of resources. The tower sounds like it adds a lot of tension and could be a really fun element of the game. You can see more about how it works on the The Stygian Society Kickstarter page here! Here’s a fact you might not know about me: I love bees. They’re super cool and really cute. Matt Shoemaker knows this too as he is a bee keeper and has designed a game based on his love of bees. Bee Lives: We Will Only Know Summer is a tile placement game about managing your hive. Players build the board collaboratively by placing tiles, but bee life isn’t that peaceful. There are limited resources and you’ll need to defend your hive from raiding parties and perhaps do a bit of raiding of your own. With your opponents buzzing in your ears and disease spreading through your hive, can your hive make it through the winter? 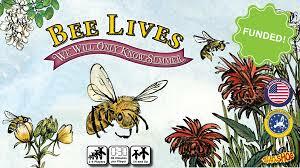 Take a look at Bee Lives: We Will Only Know Summer on Kickstarter to find out! Which Kickstarters are you swarming over this week? Let us know in the comments below!